I’ve known—or rather, hoped—for years that 2017 would be a somewhat eventful year of my life, as it, ideally, would be the year I graduate college. And I did just that on May 13 when I graduated from the University of Illinois at Urbana-Champaign with a Bachelor of Science in Journalism. 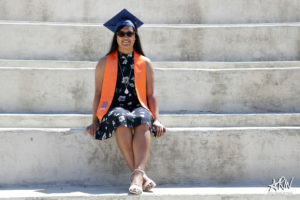 Going into college, I feared I wouldn’t graduate in four years, because I wasn’t sure I’d be able to take all of my required journalism classes within that time. That’s not to say there’s any shame in having to take more than four years to graduate, because there isn’t. Anyone who graduates from college—regardless of the amount of time it is done in—should be proud of doing so, because it’s difficult. But I knew I was capable of completing my degree in four years; it was just a matter of whether I’d get to take classes when I needed to. So the idea that it could potentially take me more than four years to get my Bachelor’s degree was disheartening. But it worked out. Despite all the doubts I wouldn’t get to take my journalism classes when I needed to, I did it: I graduated in four years with not only a Bachelor’s degree but also with a minor and certificate. So this has already been mentioned, but it was a vital moment for me, as it is for many. It also marked the end of my going to school (because, as much as I like to learn, I’m too burned out from years of school to continue a formal education)! I was credentialed for an NCAA women’s gymnastics regional. The second (and last) beat I covered as a sports writer for The Daily Illini was women’s gymnastics. After that, I no longer covered a beat and eventually left the paper to pursue more opportunities with my university’s official yearbook, Illio. But I never stopped following the team. It helped having a twin sister and best friend who are gymnastics fanatics, but covering gymnastics turned me into a gymnastics fan myself. I continued going to meets mostly as a fan and a few times more as a reporter. In March, Illinois hosted an NCAA Regional, welcoming various teams to Champaign’s State Farm Center. 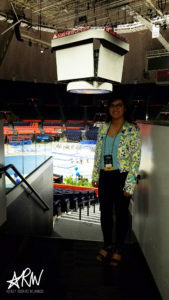 One of the teams selected to the Champaign Regional was UCLA: a team that included Olympic gold medalists Kyla Ross (2012) and Madison Kocian (2016) as gymnasts and Jordyn Wieber (2012) as a coach. As a fan, I was ecstatic about the trio of Olympians coming to compete in Champaign, and, as a sports writer, I wanted nothing more than the chance to cover an event that included such accomplished athletes. So I tried to find an outlet I could cover the meet for and ended up getting credentialed for NCAA Gym News. The regional also marked the lone NCAA postseason event I covered in person as a journalist, so it was cool to get to check multiple things off my bucket list at one event. Not only did I cover the meet, but it also offered me the opportunity to write a really interesting feature! The 2017 UCLA and Illinois women’s gymnastics teams had a lot of connections. Gymnasts and coaches on opposing sides reunited with former teammates, childhood friends, and previous coaches. I have had a lot of feature ideas that I never got around to executing, but I’m glad this one became a reality. I created an award-winning yearbook (with the help of my staff, of course). I’ve already written a blog post about my yearbook becoming an award-winning book and the journey that got me to that point, so I’ll keep this brief. I, along with my editorial and general staff, made a 300-plus page yearbook. We started with nothing. We had to brainstorm ideas that would make the book a reality. Soon enough, those ideas weren’t simply figments of our imagination; we turned them into actual content: stories, photos, designs. 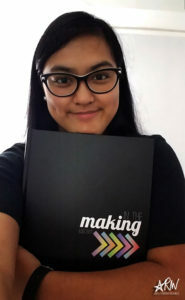 In the end, those ideas became a collection of memories bounded together into a yearbook, and I—along with my twin sister, Amanda, who was the other co-editor-in-chief—was responsible for making sure it happened. It took a lot of work, late nights, sacrificing free time, and meals in the office to make sure it not only became a reality, but to make sure it was the best product we could put out there. It’s one of my proudest accomplishments. 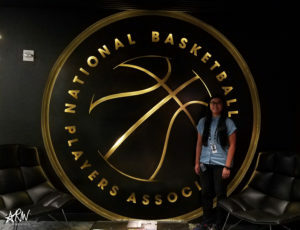 I interned with the National Basketball Players Association. When I applied for an internship with the NBPA, the NBA players’ union, I was just, as Shea Serrano likes to put it, “shooting my shot.” I didn’t really think I’d get it, but I came across it and figured it wouldn’t hurt, so why not apply? So when I was contacted to schedule an interview, I was pleasantly surprised, especially because I had forgotten about it at that point. I ended up being offered the internship toward the start of 2017, but I wasn’t sure if I’d be able to do the internship. I’d have to relocate to New York, which isn’t the friendliest places to live financially speaking. But, thanks to the support of my parents, I was able to accept the offer and move to New York for a summer internship. Not only was working for the NBPA something I never thought I’d get to do, but it was also my first official internship. I have been doing unpaid journalistic work for years already, but nothing I had done up to that point was considered an official internship. I felt super official having my own desk, NBPA email address, and phone extension, and I really enjoyed the people I worked with. Sometimes I’d get to see random NBA players and check out some of the events the union hosts. I even got to go to NBA draft media availability, which was awesome, because I got to interview a bunch of the draft prospects. Being able to say I worked for the NBPA makes me feel pretty cool and exclusive, too. 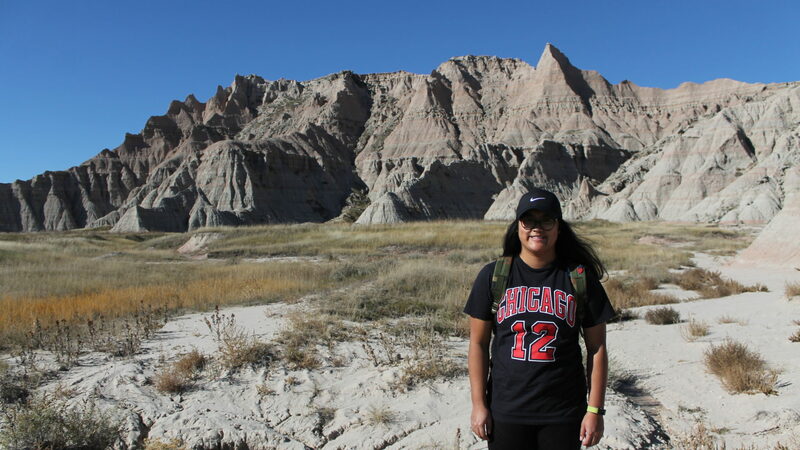 I’m so grateful I had this opportunity, for the lessons I learned, for the people I met, and that it gave me a chance to not only go to New York, but to live there, too. It was a great way to start my post-graduation life. I lived in New York and went on (a lot of) food adventures. Before interning for the NBPA, I had never been to New York before. So, even though I was terrified to move to a place I wasn’t familiar with all by myself, I was excited. I’d finally get to see what makes New York so great, and I had an entire summer to do so. I did all the typical touristy stuff—like go to Central Park, Times Square (which I waked through every day for work), the Met, and the Brooklyn Bridge—but I was honestly most excited for all of the food I’d get to try. Once I knew I’d be going to New York, I made a list of food joints (mostly ice cream places) to go to, because I just really love food. I know New York has a lot to offer, but, being an introvert, food adventures are much more exciting than going to crowded places and being a part of the nightlife. I didn’t go to all the places on my list, but I went to most of them, hitting all the spots I wanted to go to the most. And rarely was I ever disappointed by the food. I think more milkshakes should come with an ice cream sandwich. I’ve never had such a difficult time eating a burger, but, with fried mozzarella squares for a bun, I should’ve expected it. I watched my first WNBA game live. In New York, I lived near Madison Square Garden, and it cool to see it every day. But I wasn’t going to settle for simply seeing it; I wanted to actually go there to attend an event. Luckily for me, the WNBA’s season is in the summer, and New York has a team: the Liberty. The only other times I watched WNBA basketball were on television, and, even then, I was rarely able to watch its games. So I bought tickets to the Chicago Sky-New York Liberty game in mid-July, and it did not disappoint. I went to Broadway shows. When I got to New York, there was only one Broadway show I planned on seeing, Bandstand. I have been a fan of one of the dancers in the ensemble, Ryan Kasprzak, since he and his brother Evan were featured on season five of So You Think You Can Dance in 2009, and I have been following both of their careers ever since. I remember seeing on social media that Ryan was a part of a Broadway show, and I really wanted to watch him perform, so I planned on watching Bandstand. But I had no real desire to see anything else (except Hamilton, but that wasn’t going to happen). However, my mom and twin sister, Amanda, flew to New York with me to help move me in, and so we could have a mini-vacation before I started my internship. 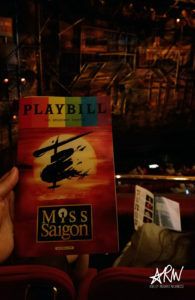 We would be spending time with two of my titas (which means “aunts” in the Filipino language Tagalog), and I learned that we were going to watch Miss Saigon. I didn’t quite know what the show was about beforehand, but I’m really glad we did, because it was such a good show that features a bunch of talented Filipinos (like Eva Noblezada, Jon Jon Briones, Rachelle Ann Go). It also marked my first Broadway show actually on Broadyway (in New York). As for Bandstand, I actually didn’t watch it until late July, because I knew my brother would be coming to visit me in New York. So I put it on hold in case he wanted to join me—which he did, as we were both up for watching Ryan. I’m somewhat upset that I waited for my brother to watch Bandstand, though, because I ended up loving it. The first time I watched it, I really enjoyed it. But then I heard it would be closing in September, and I got sad, giving me the urge to listen to the cast recording. The cast recording then made me love the show, and I wanted to watch it again before it closed. So I went again on my second-to-last Sunday in New York. I also went to Bandstand’s “Broadway in Bryant Park” performance during my lunch break one day and to its “Summer Send-Off” performance at Grand Central Terminal during another one of my lunch breaks. 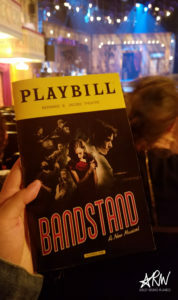 As if two times wasn’t enough, I went to watch Bandstand for a third—and final—time on my last Friday in New York after I finished my last day of my internship. My mom had planned to fly to New York to help me move back home, because I simply had too much stuff to bring back all on my own. But Amanda ended up coming with. I knew she wanted to watch Bandstand, and this would be her only opportunity to do so with the show closing, so I bought tickets to watch Bandstand with Amanda, my mom, and my tita who lives in New York. I loved Bandstand more each time I went to see it, and I still listen to the cast recording almost every day. But the show got me really interested in Broadway, and now that I’ve learned more and have been exposed to more Broadway, I want to see all of these shows. So I wish I would’ve been less stubborn and smart enough to watch more shows than Bandstand when I was in New York. But it’s also probably for the best, because that would have gotten really expensive. The most surprising part about being in New York was getting to meet people I never thought I’d meet. Rafe Bartholomew: Rafe is a writer and the author of Pacific Rims: Beermen Ballin’ in Flip-Flops and the Philippines’ Unlikely Love Affair with Basketball and Two and Two: McSorley’s, My Dad, and Me. He is a former editor of Grantland (R.I.P. ), which is the site that introduced me to him. This then led me to his book Pacific Rims, which has become one of my favorite books. He did a promotional event for his newest book, Two and Two, at a Barnes and Nobles in the upper east side in mid-June, and it included a book signing. I saw him tweet about the event and asked if he’d sign a copy of Pacific Rims even though the event was for his other book, but he said he would. So that sold me on going to the event despite not knowing much about his newest book (which I will get around to reading otherwise because he’s a great writer). But it was really cool to meet him, because he even knew who I was. We had previously interacted on Twitter—initially because I used the book as research for a sports sociology project I did my junior year of college—and he followed me on Twitter soon after. 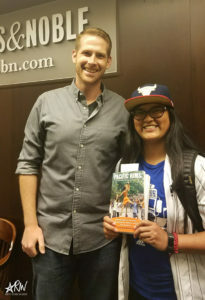 We had a brief conversation at the signing, and it was awesome getting to talk to a writer I look up to, a fellow basketball fan, and someone who has helped me learn more about basketball in the Philippines. 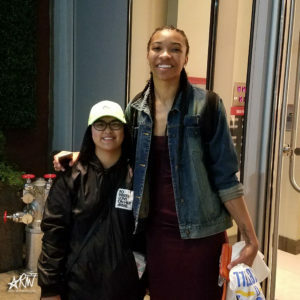 Imani McGee-Stafford: I was fortunate enough to meet Imani, a former Chicago Sky center who has since been traded to the Atlanta Dream) after the Sky-Liberty game I went to in July, as she was kind enough to meet up with me. It was a rather quick meeting, but we got to talk a little bit about our mutual interest in the nonprofit organization To Write Love on Her Arms. Considering I don’t know many people who are interested in TWLOHA outside of the people who were in my college’s UChapter, it was great to talk about it, and it was cooler that it was with a professional basketball player. The second time I went to see Bandstand, I decided to stage door:wait outside the theater’s stage door to meet some of the cast. It was my first time doing so, so I wasn’t sure what to expect, but it went fairly well. I did, however, have a very brief conversation with Geoff Packard, who played Wayne Wright. He’s a twin, and there were two girls next to me at the stage door who are twins. Geoff pointed that out, so I proceeded to tell him that I’m also a twin but didn’t have my twin with me there. He joked with me that’s what everyone (without a twin) says, but I let him know I was in New York for an internship, so my sister was not with me. It was a fun little moment. 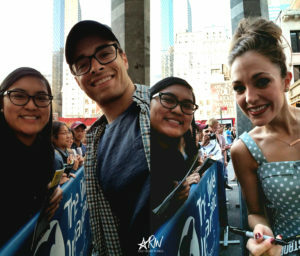 I only got photos with Corey and Laura Osnes, the female lead, though, because I thought that’s all I would really want. Now that the moment has passed, I wish I would’ve gotten pictures with at least all of the main cast members that came out to the stage door, but I did get the one photo I came there wanting, so I’m still grateful. With all of the accomplishments and adventures 2017 presented me, 2018 has a lot to live up to. And so do all the years afterward, but I look forward to creating memories and pursuing opportunities that make my life all the more eventful.